Whether you are looking to buy , sell or to rent a home on the Western Costa-del-Sol, Michael Moon, Marbella Estate Agents, are the experts in villas and apartments for sale in Marbella. Based in Marbella at the heart of the Costa del Sol, Specialising in Marbella, Estepona, Mijas Costa and Benalmadena Costa we have the experience and integrity to ensure that your Spanish property purchase matches all of your expectations. For the latest news on the most exciting and interesting villas and apartments for sale in Marbella, and surrounding areas including Estepona, Fuengirola, Benalmadena and Mijas why not join our mailing list? If you want to sell your Marbella property, whether it be a villa or an apartment we will use all the marketing tools at our disposal to ensure that your property is properly presented to the widest possible audience in multiple languages. We will advise and help you every step of the way. This website is here to help you and and will provide you with all the information you need to help with your Costa del Sol property purchase. Our business is about people so to get help with every aspect of your property search the best action you can take is to contact us either by telephone (0034) 952 90 52 00, or by e-mail and also by using the contact form on this page. We are looking forward to helping you. 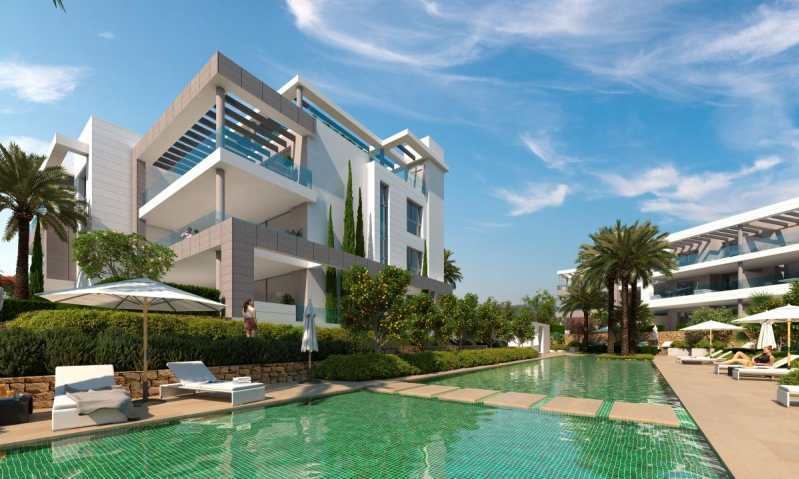 There is now a fantastic choice of New Development Properties for sale in Marbella and throughout the Costa-del-Sol. 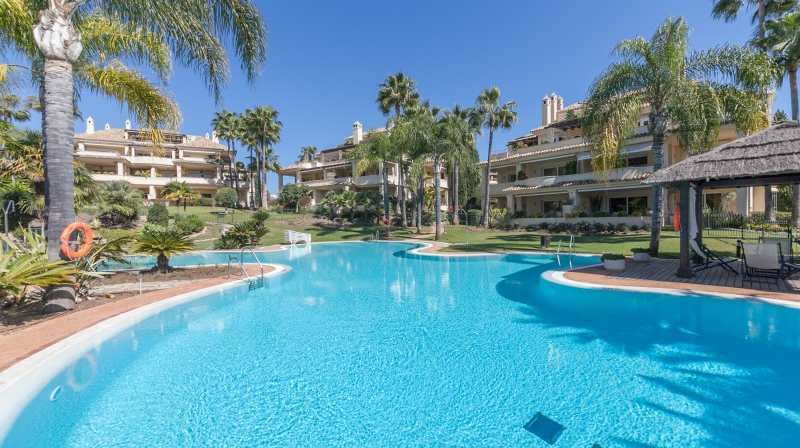 The choice is amazing from new apartments at around 150,000 Euros at Fuengirola all the way up to stunning luxury villas in and around Marbella at prices of many millions. During the last few years there has been a real rebirth in the construction world and trhe cranes and concrete mixers which disappeared have now re-appeared clearly indicating the levels of activity. Buyers have also returned to this sector of the market and we are seeing sales with enthusiastic buyers taking apartments and villas at all price ranges up and down the coast. The biggest change is in the style of the buildings. Contemporary style is now de rigeur and the majority of projects feature clean crisp lines and open plan design. Buyers are very fussy about quality of finishes, materials, fixtures and fittings and these requirements are satisfied by higher specifications and greater attention to detail than we were used to seeing in the off-plan properties of the previous decade. There are off plan properties available in all price ranges. We have seen apartments starting at under 100,000 Euros and, villas and penthouses ranging up to many millions of Euros. Our special New developments for sale on the Costa del Sol page will show you a selection of the options available. You can sort the options by price and number of bedrooms etc. to find the right options for you. You can also find interesting articles on our blog. Are you selling or renting your property on the Costa del Sol? Due to the hard work and success of our rental department we are now looking for more properties to rent, not only in the Marbella area but in general between Benalmadena and Manilva. We are looking for good quality properties of all types including villas and apartments. We know that good quality homes attract good quality tenants and we are keen to help you have as little hassle as possible in the process of renting your property. If you are thinking of renting or are already doing so we would love to talk to you and advise you as to the best way to proceed. Please just call us on 952 905 200 or e-mail and we will arrange to come and see you. On this website you have access to almost 3,000 properties for sale on the Costa del Sol. These come at all price ranges and in a wide variety of types and sizes. Whether you want to be close to the sea or to enjoy the peace and quiet of the countryside then we almost certainly have the right option for you. Firstly you can ask us to do your search for you. All you need do is give us a call on (0034) 952 90 52 00 or send an e-mail to and we will get straight back to you to talk through your requirements. Our consultants can help advise you as to what is realistic in order that you waste as little of your valuable time as possible. There is also a comprehensive search system on this website. At the top of this page you will see the search window which allows you to select whatever type of property you want (villa, apartment, country property etc. ), the area you would like to be in (Marbella, Estepona etc.) and the price that you would like to pay. Also in there is a search by description panel. You can use this to specify any keywords that are important to you to help with your search. For example, it may be the name of a particular development or you may want to see properties which have a "Jacuzzi" or "Gaggenau" kitchen appliances etc. Try it, it is a useful tool which will help you with your search. If you need any help at all you can always contact us. If we don't already have the right property for you we will do our best to find it! Michael Moon have been actively involved in the sale of residential Property for in excess of 40 years. Specializing in the Marbella area of the Costa del Sol throughout the last 20 years. During that time we have significant changes in the marketplace and also to the technology surrounding the sale of villas and apartments and we have always stayed at the cutting edge of the market using the latest media to help buyers and sellers alike achieve their property goals. Over the 40 years we have built up a reputation for integrity and honesty and our clients have appreciated that our approach has always taken a long term view to our relationships both in terms of the advice we give and the service we provide. Our approach is very simple, we are not so much looking to sell you a villa or apartment in Marbella but rather to help you find the property that you want. The difference is very subtle but in terms of customer service the difference is huge. We long ago learned that there is no value in showing potential buyers properties that are of no interest to them. We generally prefer to listen to you and to establish what you do not want This will help us to refine your search and to come up with options that tick as many boxes as possible. It is fair to say that no matter how much you are spending that you are likely to have to make some form of compromise, We have to remember that you can only buy what exists, or in the case of New Developments, what is about to exist! This sounds very simplistic but it is amazing how often we see people chasing after something that they will never find. We believe that it is far better to realistic from the outset and to set goals which can be achieved. 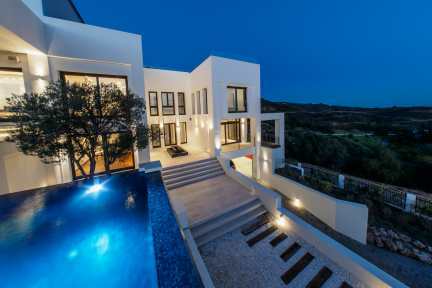 During the years we have worked with property throughout the Costa del Sol. We are based in Marbella because it is central to the area we cover. We have an in depth knowledge of the marketplace from Benalmadena through to Sotogrande including the inland country areas. There is so much exciting property available and we will have great pleasure in exploring the options with you. If you would like to come to see us our offices are situated in Nueva Andalucia, Marbella close to the Casino at Edificio Online in Calle de Las Malvas.